Bummer!! I love these glasses. 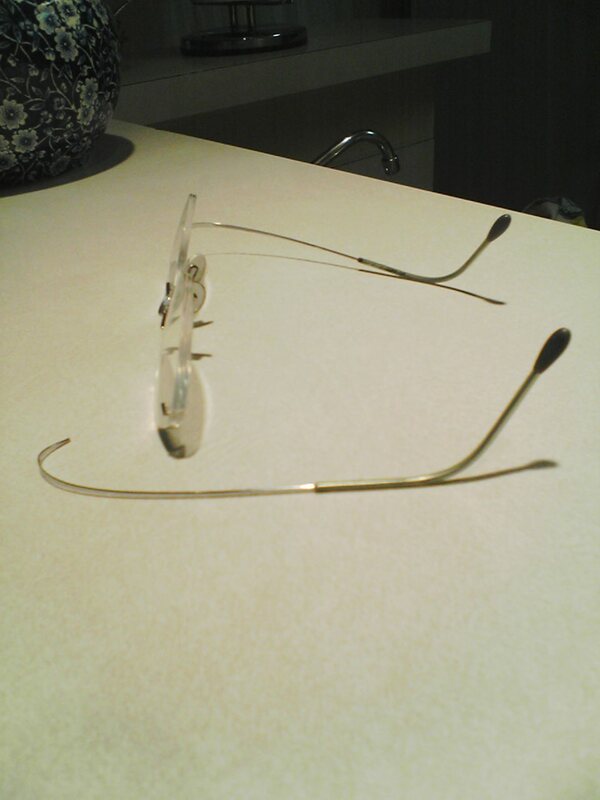 I have been wearing them for a lo-o-o-o-ng time so the warranty is no longer good. I am “financially challenged” (code words for p-o-o-r) so I won’t be getting new ones right away. 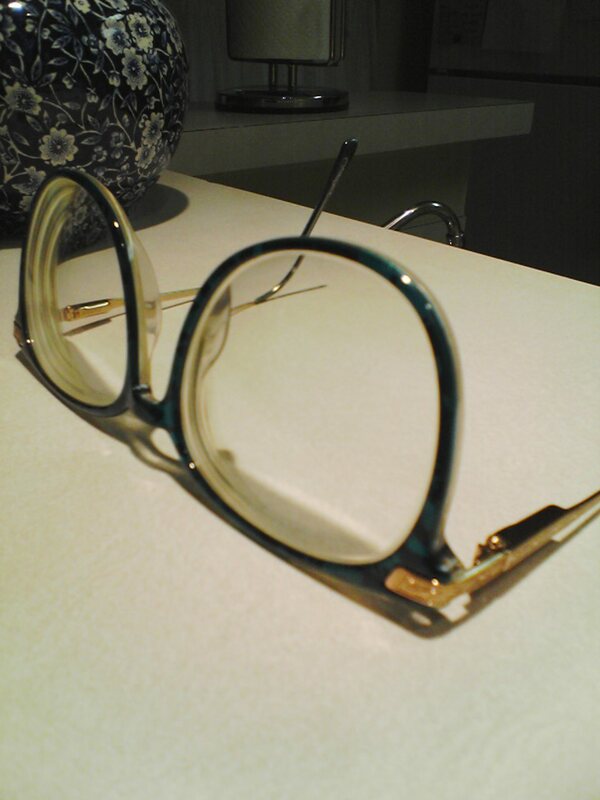 I scrounged around in my dresser and came up with an old pair, a really old pair–like 1980’s old. It is going to be so embarrassing to wear these things. But, hey, what you gonna do? 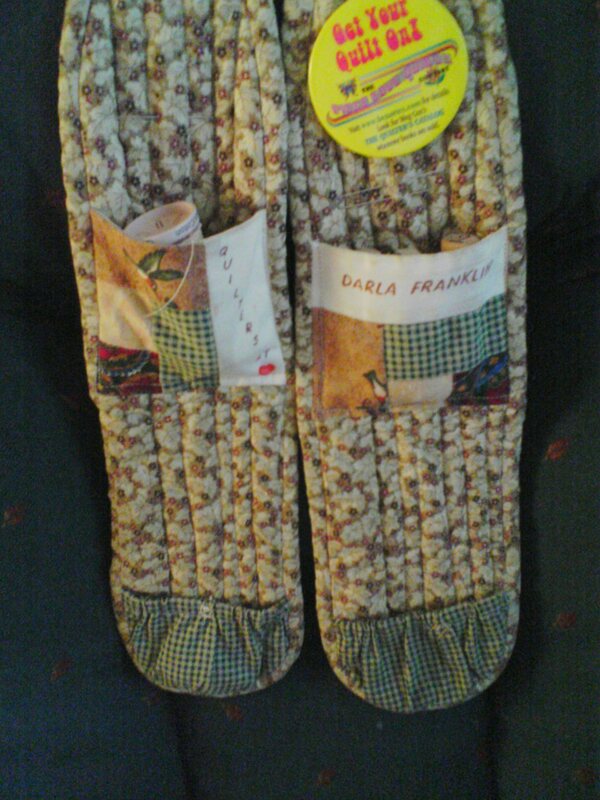 The good thing is I don’t need them to quilt. I have perfect vision up close. But, driving the van would be dangerous. Now I could balance my broken glasses on my nose to drive but they might fall off. That wouldn’t be good. So I guess I will don my 1980’s BLUE frames (very heavy, by the way) to drive the van. Speaking of driving the van, Rachel called and wants me to come to Bloomington today to move her to a different dorm. We just moved her there on Tuesday. Her dad and some other students carried her stuff up to her present suite on the second floor (no elevators). #1 I have MS and have difficulty walking and keeping my balance let alone trying to carry boxes on stairways. #3 My 15 yr old son has a dentist appointment that we need to keep at approximately the same time that Rachel is supposed to move. Hopefully Rachel will have some other students to help with the move. That would take care of problem #1. I will quickly remove whatever glasses I decide to wear to make the drive up there just as soon as I park the van. That will take care of problem #2. I just re-scheduled my son’s dentist appointment. Can’t get him in till October. Oh well, problem #3 solved. 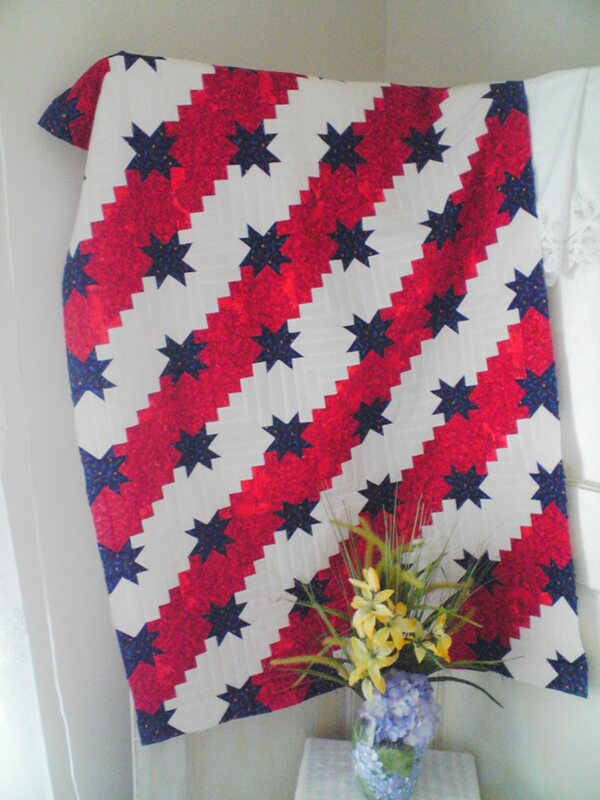 Something tells me I am not going to get much quilting done today. 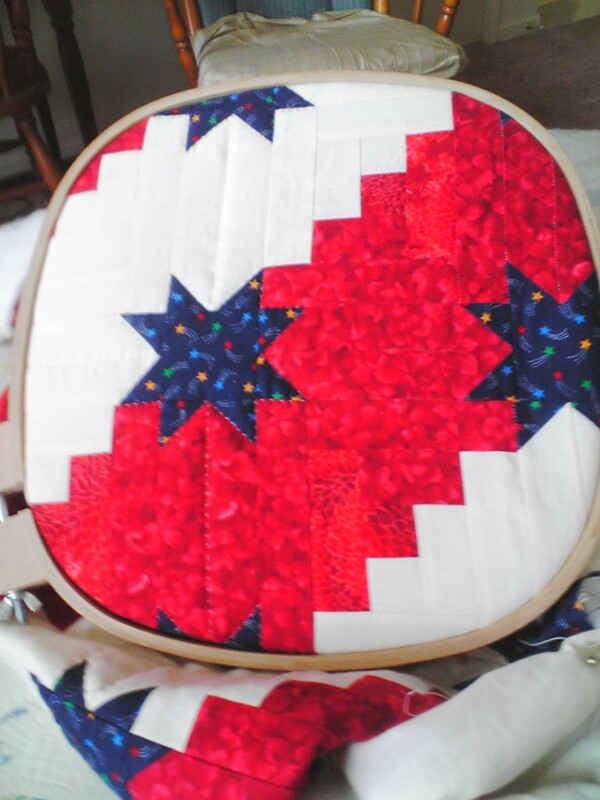 Oh well, maybe tonight when all is accomplished I can sit in my rocking chair and quilt to my heart’s content and I won’t need any glasses to do it! 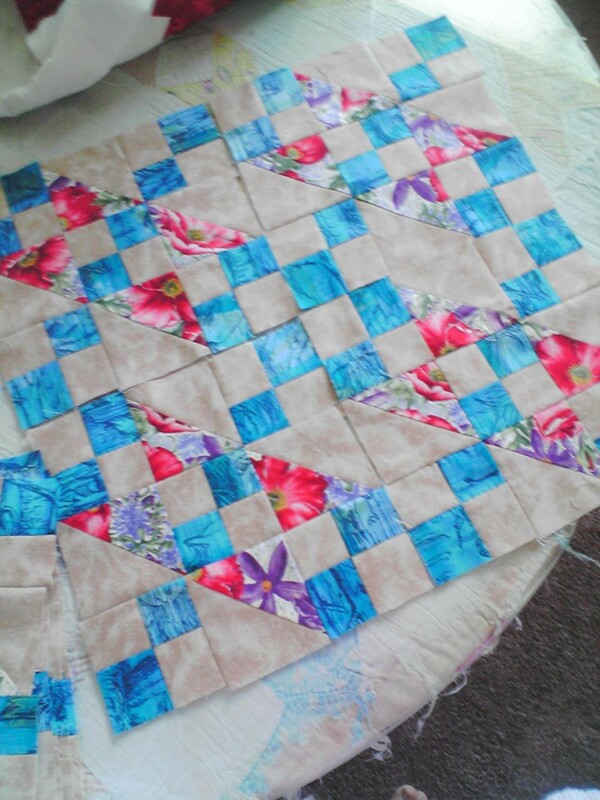 Here are some photos of my chatelain which I wear around my neck when I am quilting. 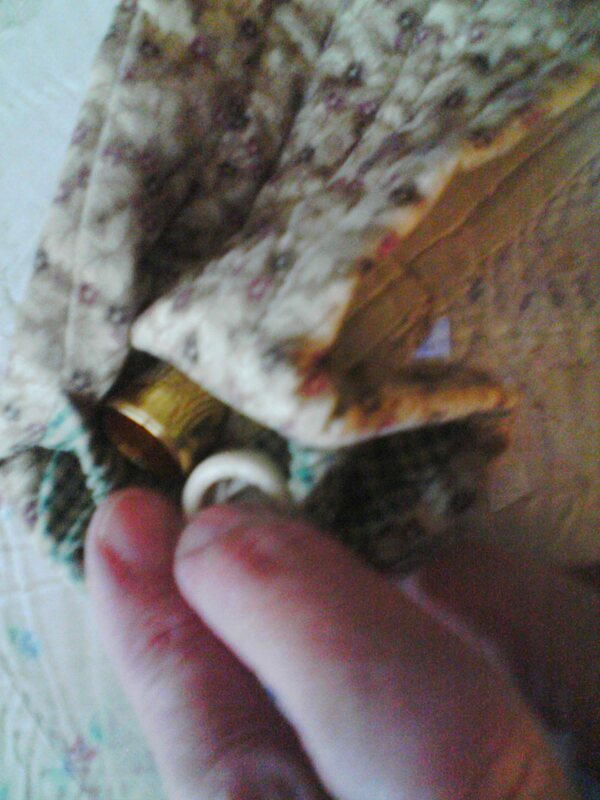 It has pockets for my needle cases, my thread, my thimble and finger cot. 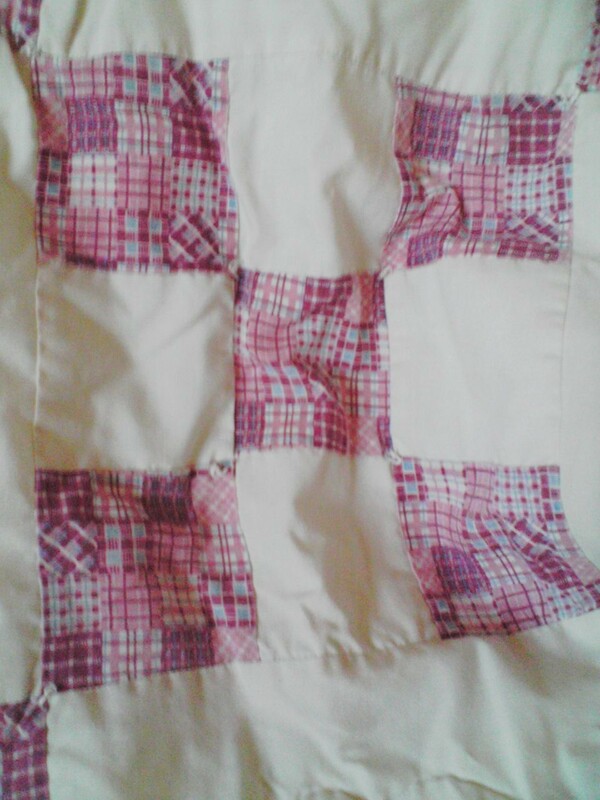 It is quilted so I just stick my needles through the fabric for safe-keeping when I am not using them to quilt. 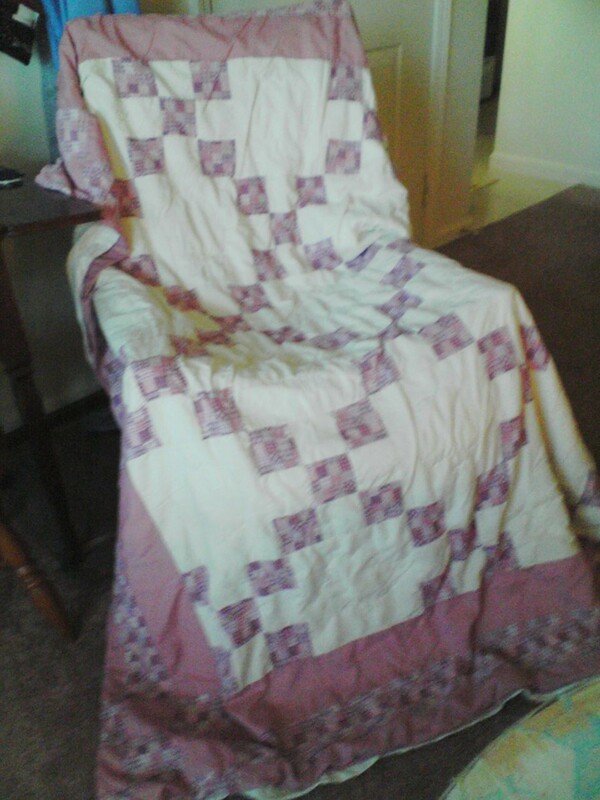 I made this chatelain years ago from a pattern put out by Fons & Porter. 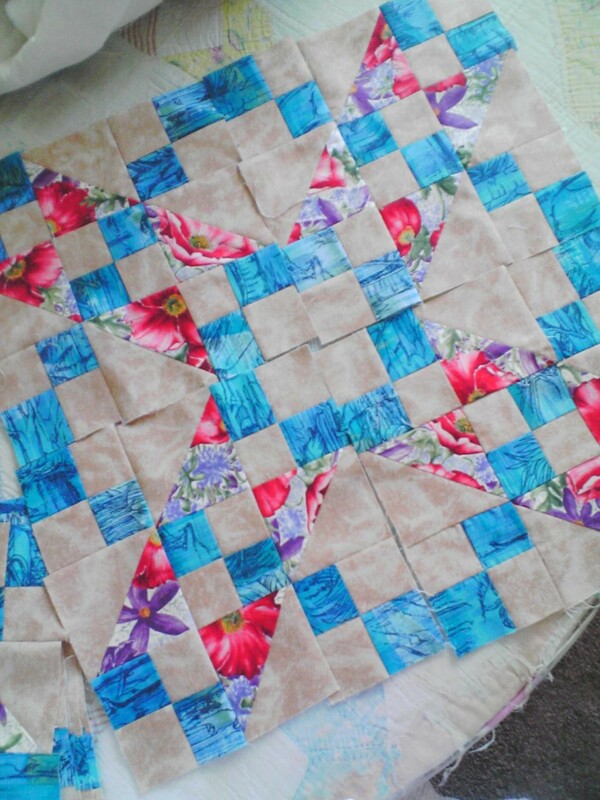 It has been one of the most useful quilting “tools” I own. 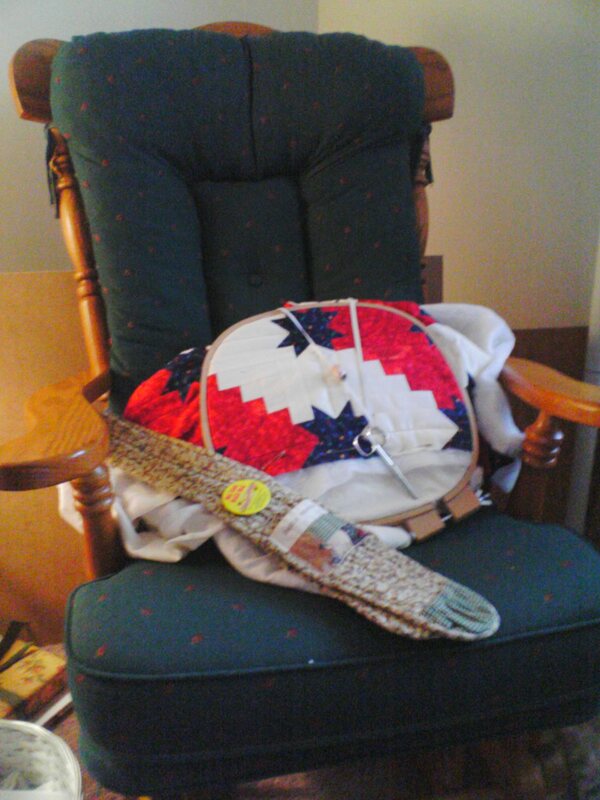 It keeps all my quilting necessities in one place and, since it hangs around my neck, I don’t misplace anything. 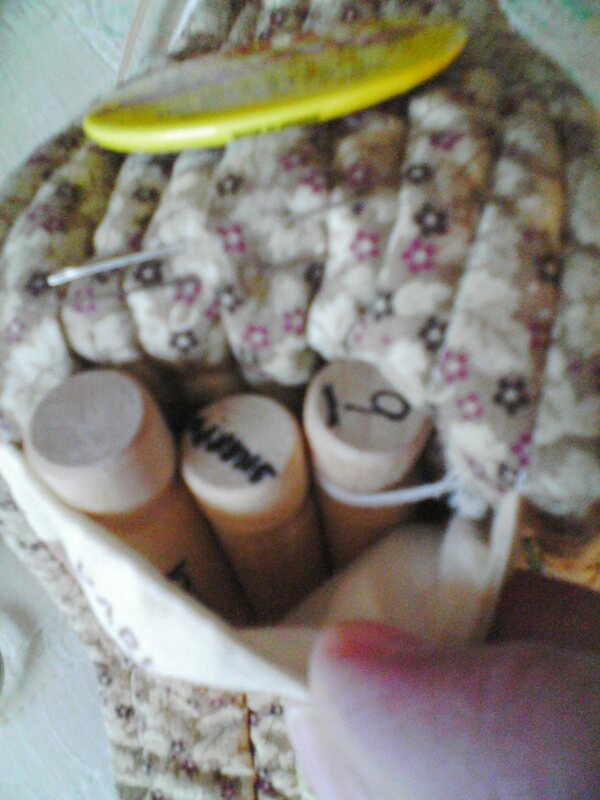 Also it’s kind of neat to put quilting pins on from quilt shows or just for decoration. 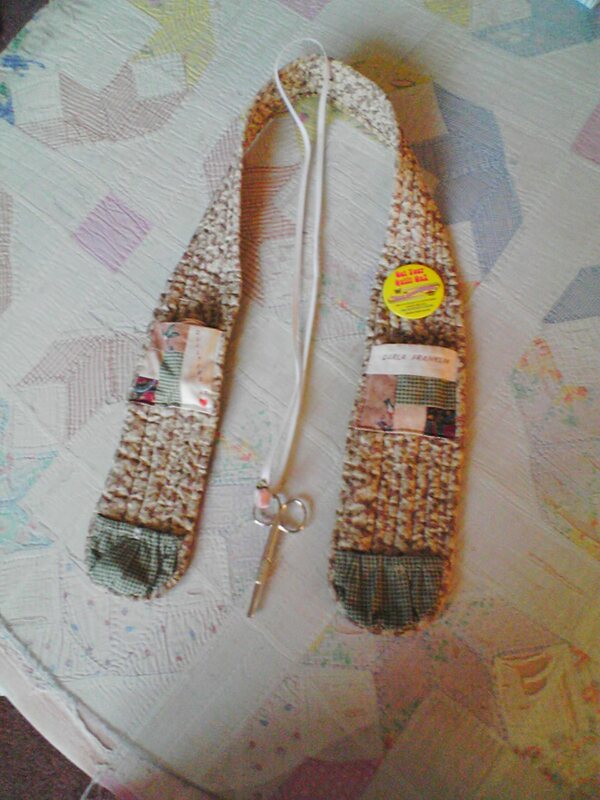 My scissors are always around my neck also, whether handquilting or using the sewing machine. I got tired of searching for my scissors so I attached them to a piece of elastic. I added a small pink silk rose just for a little feminity. The scissors are actually cuticle scissors so the points are rounded. 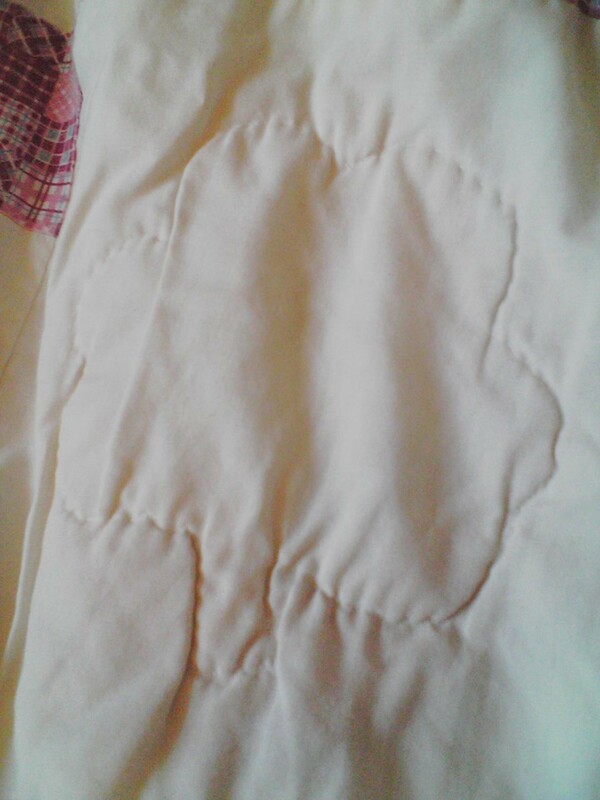 (In the past my scissors were forever punching holes in pockets). 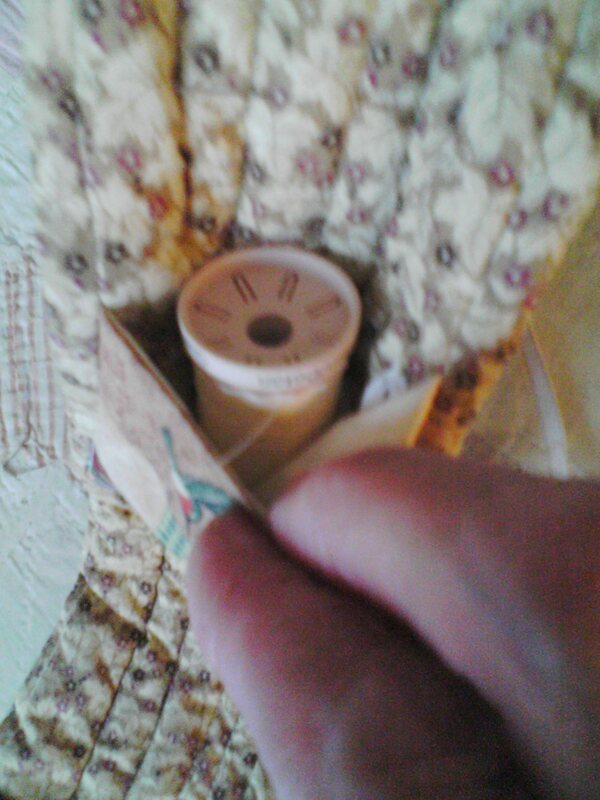 The elastic is long enough to reach the thread on my sewing machine so that I don’t have to remove it from my neck. A simple solution for a pesky problem. 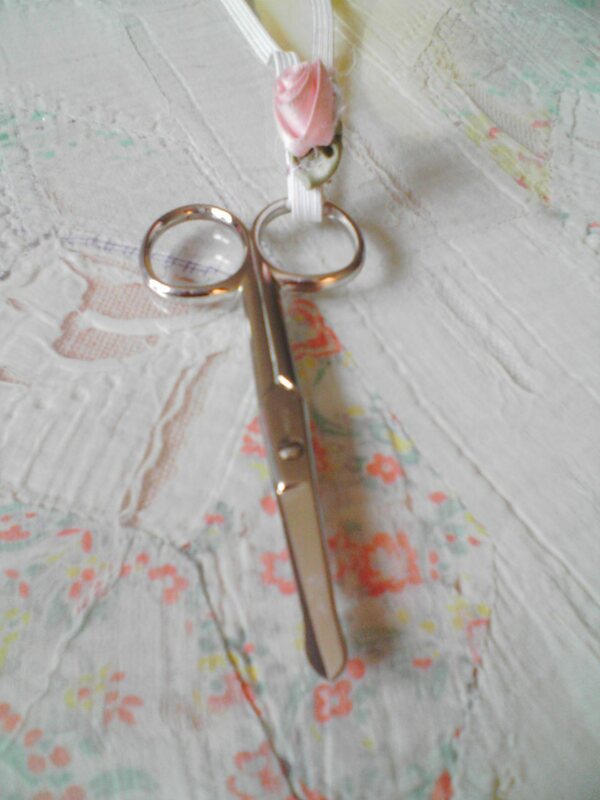 Here is a picture of my scissors close up. I gotta get ready to go to Bloomington now. P.S. 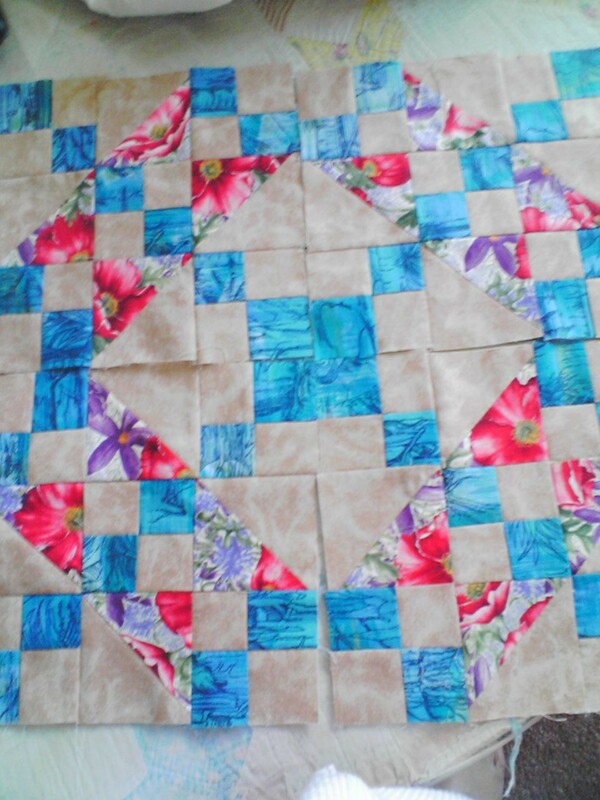 Thanks for the comments from some of you sister quilters. I appreciate that.